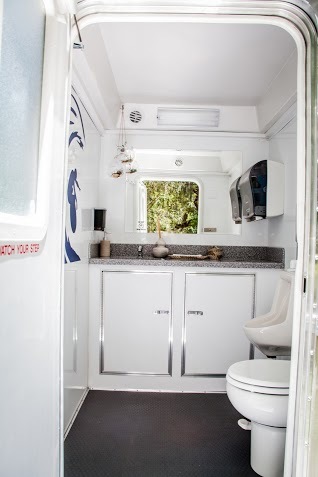 This climate controlled trailer features 2 restrooms for ladies and 1 men’s (or unisex) restroom. . 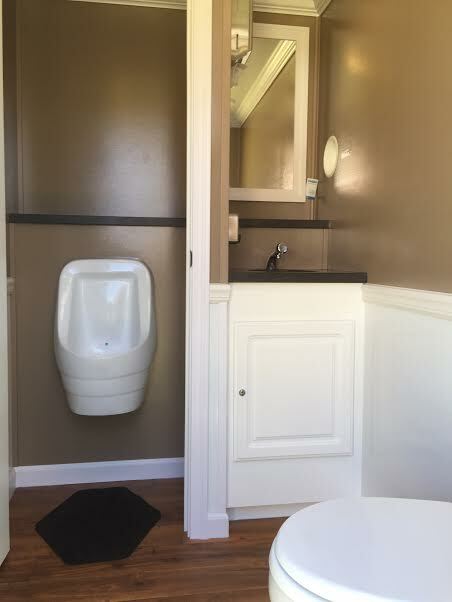 Exterior occupancy indicator lights, wood grain flooring, distinctive wainscoting, crown molding, and a central stereo system, make this Cottage trailer an excellent choice for high-end events. 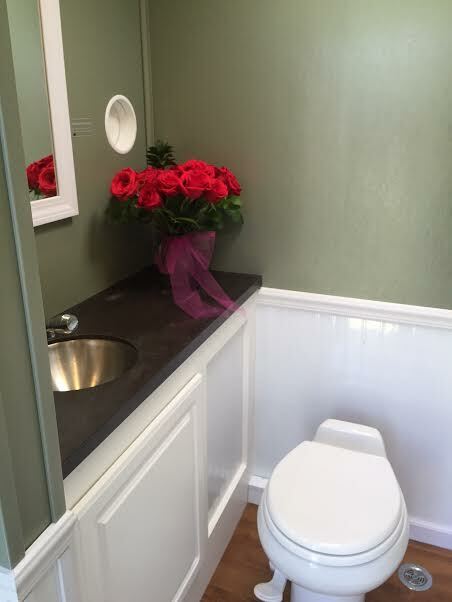 Like our other Cottage series trailers this one includes LED stair and porch lights that come on automatically at dusk. 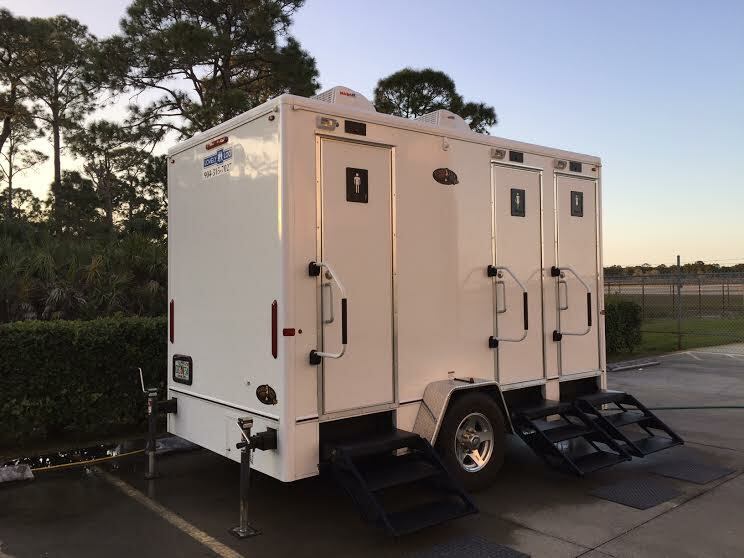 Equipped to handle medium size events, this restroom trailer features two private women’s stalls and one private men’s stall with a toilet and urinal. Guests will be astounded with the upscale amenities found within- Corian countertops, stainless steel sinks, metered faucets, and AC/Heat and custom murals in each room.